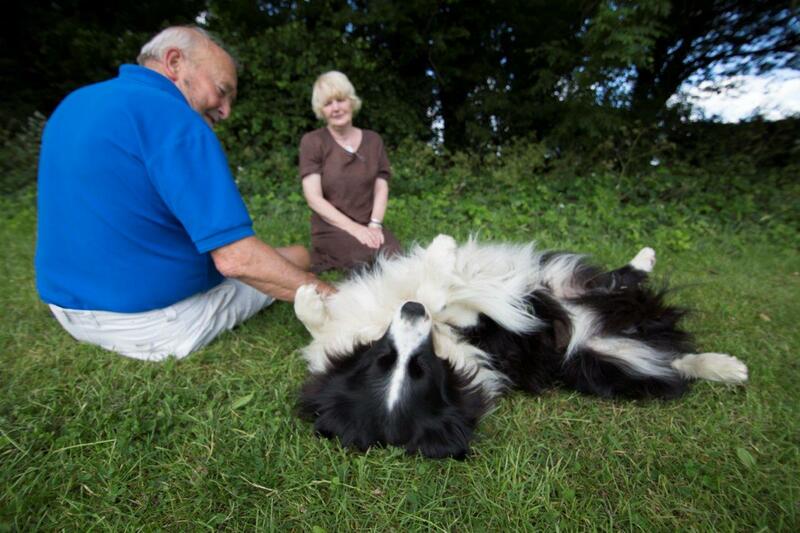 Buzz lives with married couple Josephine and Peter, who have had Buzz since he was a puppy. Though they have had a number of dogs over the years, Buzz holds a special place in their hearts. Josephine even states that if it came between choosing between her and the dog, Peter would pick her… but would bear a grudge about it! Peter says having Buzz around is life enriching as together they stay active and keep each other company. One day Josephine and Peter noticed that Buzz was limping and when Josephine looked closer, she felt a swelling had developed near his ankle joint. 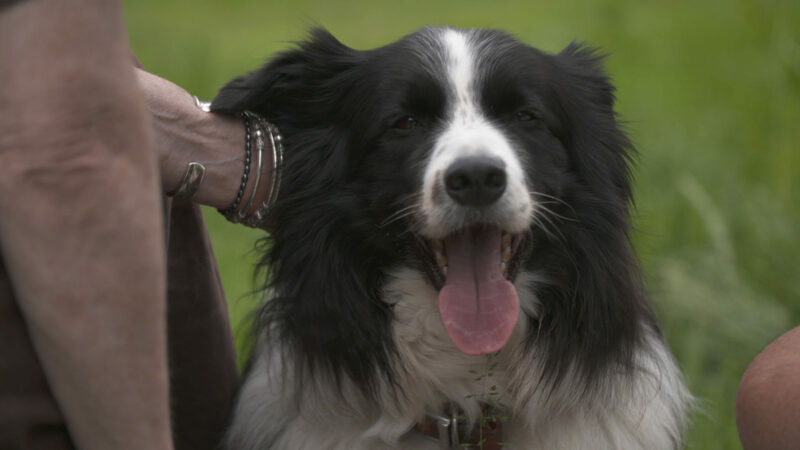 Josephine is a Doctor herself and was worried that the swelling may be a sarcoma, and so Buzz was referred to Fitzpatrick Referrals for closer inspection. Buzz had detailed advanced imaging taken at the site of the swelling and when the results came in, Noel showed the pair the holes inside the joint as a result of a degenerative process which was leading to severe osteoarthritis in the ankle causing new bone to form, but thankfully, it was not cancer. Noel explained that the new bone formation was beyond repair in terms of joint replacement, so their remaining option was to fuse the joint. The couple wanted to see their boy out of pain and agreed to go ahead with the procedure. Over the years Noel has developed different variants of plates to fuse ankle bones, and Buzz would receive the latest version. As with all surgery however, Noel had to make clear the risks, which were namely infection or mechanical failure. In the surgery, a custom made plate had been made in advance especially designed to fit exactly to Buzz’s ankle. The plate and screws would lock it down to the bone, and bone marrow extracted from Buzz’s shoulder was packed into the site to encourage new bone growth to help the ankle to fuse. The outcome of that surgery was positive, but the next 12 weeks were crucial. Recuperation and rehabilitation is as important as the surgery. Unfortunately, at 11 weeks they spotted a problem. When they brought Buzz back to Fitzpatrick’s Noel discovered that Buzz had broken his plate, most likely from doing too much too soon. For a few weeks they observed the situation hoping that the bone would continue to fuse, but after 4 weeks Noel recommended a revise of the surgery to replace the broken plate. A year later, Buzz is doing spectacularly well. 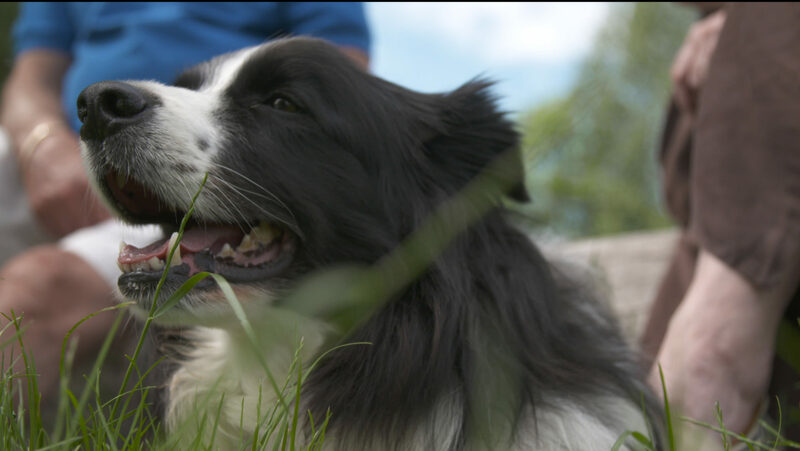 His ankle now fully fused and secure, he is now able to run in the fields and be as active as a border collie ought to be. Peter, who was in and out of hospital himself whilst Buzz was having treatment due to a heart attack, commented that thanks to Buzz he has been able to keep himself active, they are a partnership. Surgery is an ever evolving process, and sometimes it is a race between biology and mechanics. No one can win every time, but with patience and a bit of luck, biology can smile too. Seeing this special family unit back together running around in the fields makes the long road worth the journey!